Conceptually speaking, hybridity is the idea that multiple influences combine to create something new, a mixture of existing parts. The exchange between these numerous cultures, modes of thinking or artforms produces this novel product, as elements from each original stimulus are taken and re-shaped into a newly constituted form. When applied to music, the idea of hybridity is more easily explained. Let’s use trip-hop as an example. Famously pioneered by the likes of Massive Attack and Portishead, the genre was born out of the cultural mosaic that is Bristol. During the 1980s, the South Western city supported a thriving sound system culture, with roots and reggae bellowing out from towering stacks of speakers. Hip-hop records flooded the shelves of record stores the city over, and the revolutionary synthesizer had firmly established itself as a vital tool in the modernisation of music. Widely accredited as the originators of the genre, Massive Attack combined elements from these musical styles and more to create a new sound. Trip-hop was born. 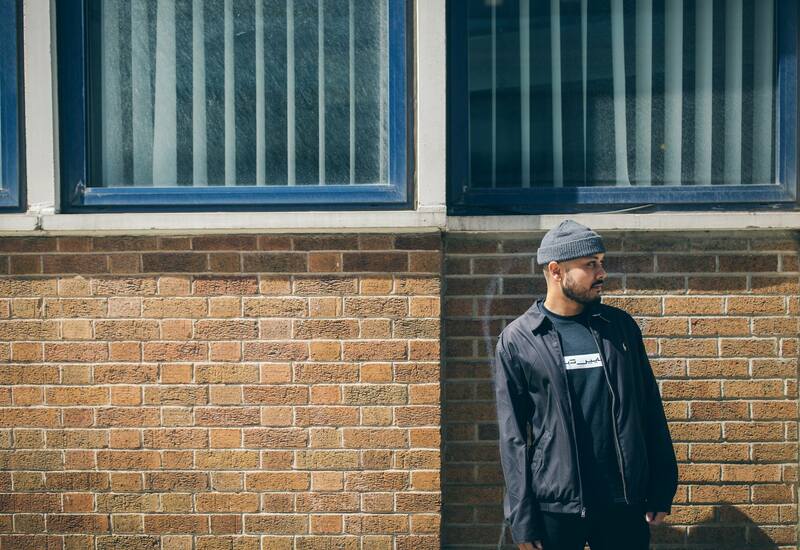 Bristol today is still one of the most vibrant musical hubs in the United Kingdom, and the city dubstep producer Farhad Ahmed, better known as Bengal Sound, calls home. Originally from the West Midlands, Ahmed came to the South Western city to hone his craft and study. This tutelage, along with the rich and varied scene, has been a revolutionary element in his development as an artist, helping him progress and reach new creative heights. Whilst jungle and grime raves are common within the city’s club circuit, dub and dubstep events are equally prevalent. With the likes of the Young Echo and Bandulu crews, labels such as Deep Medi, Pearly Whites and Tectonic, weekend festivals run by Teachings in Dub, and a continual appreciation for the pure frequencies offered by sound systems, it comes as no surprise that Ahmed found a community of harmonious creatives. Akin to dub and dubstep’s perpetual messages of positivity and cooperation, this community provided a support system for the young producer, encouraging his growth and recognising his talent. Ahmed’s most memorable night: the Bandulu Takeover at the fabled Trinity Centre. Alongside the Black Swan, the Grade II listed building serves as a crucial venue for Bristol sound system culture. Nights such as these stray far from the path of mainstream club culture. Instead of fractured crowds made up of individual groups, there is a sense of unity and togetherness that is rarely seen elsewhere. There’s a genuine vibe, a spirit of enjoyment and musical celebration. Though the music itself is in a constant state of evolution, the party’s positivity remains a constant feature. For Ahmed, this is an important and intriguing characteristic. Convention is a concept Massive Attack failed to register on their conquest to new acoustic territories. Ahmed, too, has failed to be defined by the trodden path, introducing unique sounds, integrating previously unimagined sources of inspiration and applying novel techniques along his journey of individualised composition. His self-released Culture Clash EP is a prime example of this. Over the cassette’s ten tracks, Ahmed’s production traverses across continents and back through time, calling upon soundtracks from Bollywood classics heard regularly during his childhood. Without even realising it, these films embedded themselves into his musical conscience. In chopping and sampling the sounds of his youth, Ahmed pays homage to Bangladesh, the country he refers to as his motherland. Though he is yet to play a set in the South Asian nation, don’t count it out of the equation. Alongside the cinematic influence on his production, Channel U, hip hop and grime more generally speaking can all be attributed as guiding forces in Bengal Sound’s output. Such early listening habits have left their mark: introduced to grime, the inherently UK genre, during his school days as well as hip hop and rnb, two genres born from the restructuring of soul, jazz, funk and disco samples, this broad education has informed his creative inclinations today. As demonstrated by his remix of Goldlink’s Crew, Ahmed looks beyond the tried-and-tested. His cross-code consideration calls upon elements from this array of inspirations, reconstituting them into 140 structures. From these early days of musical curiosity to the creative catalysts provided by heritage and family, dubstep came as the natural progression. Akin to his music, Ahmed’s approach to production is by no means a prescribed process, straying from a repeated blueprint in favour of spontaneity and impulse. No wonder then that hybridity is rife within his work, and, more generally speaking, dubstep continues to evolve. Just as Massive Attack reworked the social and cultural practices of their era, Bengal Sound’s music embodies his character, his surroundings and his journey, creating unique rhythms and contributing to the progressive modernisation of Bristol’s musical fabric. Follow Bengal Sound on Facebook HERE.